Using magic to make life more Meenanful. Hey everyone! Today we're going to delve into the World of Zyearth and take a look at one of the aspects of the Defender army. One key identifier that labels a Defender is the Defender pendant. The Defender pendant has been a symbol of the Defenders since their inception. There's a lot of meaning behind the symbol. On Zyearth, a legless dragon is a sign of peace, so the dragon represents peace. The dragon's neck is tucked under, a classic move that prevents strangulation in battle. This represents defense. The outstretched wings are a sign of openness and welcome. 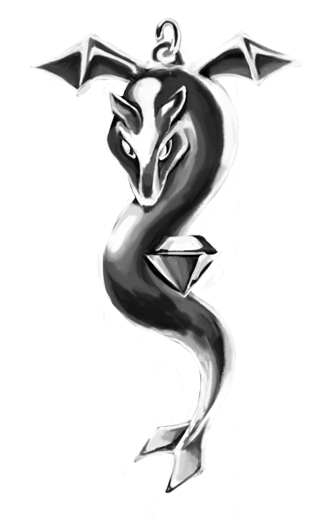 Finally, the Gem at the dragon's side represents the world of Zyearth, since all native Zyearthlings are bound to Gems. All Defenders wear these pendants. They are a sign of the Defender's rank, but they are also their official IDs. Defender pendants have a spot in the back of the pendant that reads DNA when its owner presses his or her thumb into it. The eyes act as hologram projectors and the hologram can be used to show ID or to communicate via COMM. Different colors indicate different ranks in the Defenders. Golden pendants are for the Golden Guardians, black pendants are for average ranked Defenders, and the Master Guardian has a black pendant lined with gold. Typically, average ranked Defenders are marked by the color of the Gem in the pendant. 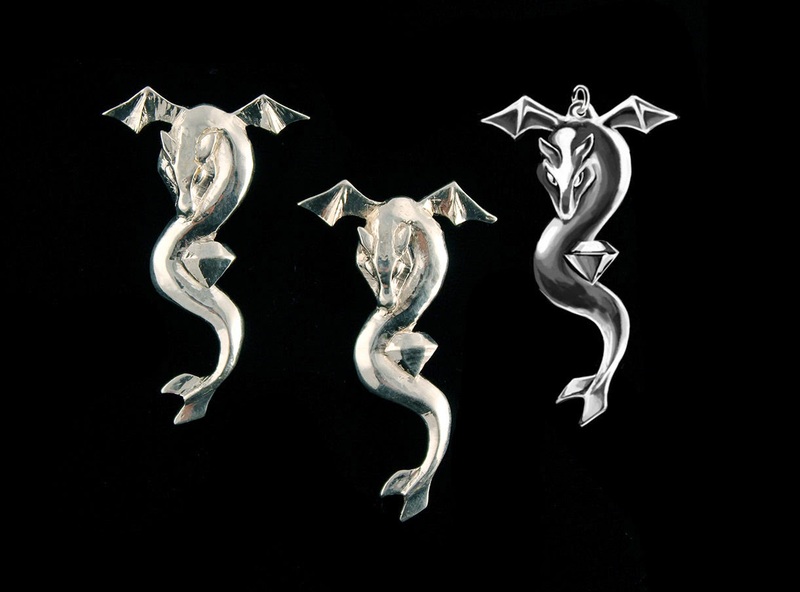 Pendants are made of some of the strongest metal found on Zyearth, making them almost indestructible. Defender pendants are a precious gift, so Defenders keep them close at hand. Have a question about the Defenders or Zyearth? Leave a comment! Please post a comment! I allow anonymous comments, so no annoying sign ups and hoops to jump through. I can't wait to hear from you! R. A. Meenan time traveled with a mad man with a box to the Modern Era and was raised by anthropomorphic cats. After too many times setting her foster family’s cat tails on fire, she started ride-hoping on intergalactic military spacecraft in search of fodder for her science fiction and urban fantasy stories and the perfect cup of coffee. She’s an honorary ambassador for furry and anthropomorphic aliens. Also, space dragons. She cares for a husband, Joe, and their four furry children (which are really cats). She also cultivates a love of English in essay-writing haters and molds them into Actual Students and Lovers of English. Her novels capture the imagination of time travelers, magic users, and nerds. Welcome to her nonsensical world.